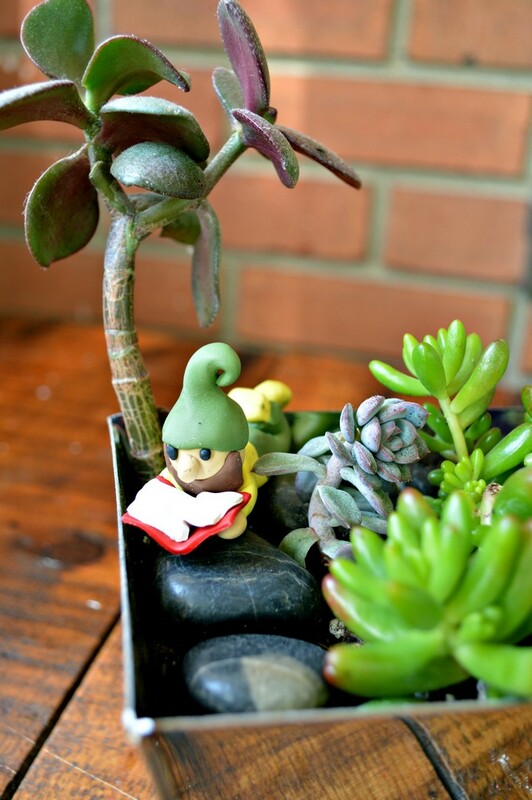 I realized I never showed you where my little polymer clay gnomes ended up living. Shame on me! I have a number of succulent planters around The Mad House because succulents are the only houseplants I have a chance of keeping alive for more than a few weeks. That’s where my gnomes have set up residence. 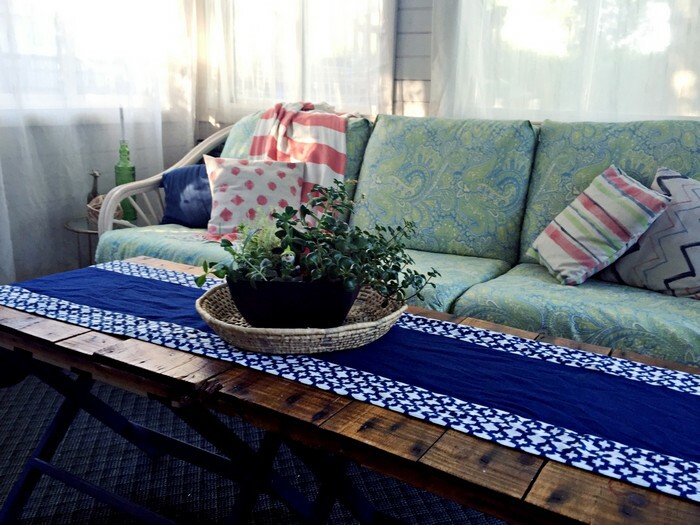 I bought a large, mixed succulent planter from a local grocery/home store this Spring and I use it as the centerpiece of our sunroom coffee table. The plants have gotten kind of wild in that little container. One plant even threw off a long shoot and bloomed. I am hoping that doesn’t mean it’s going to die on me now! 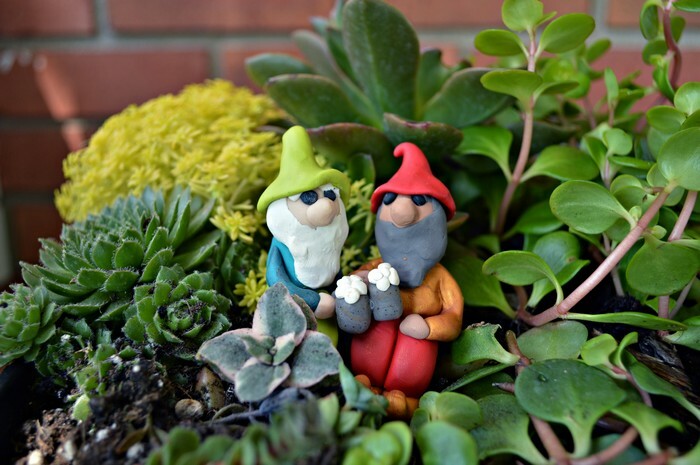 The drinking buddy gnomes were much easier to see earlier this summer. Now the pair is tucked back amongst all the jungle-y foliage. My other clay gnomes ended up in my windowsill succulent planter. Those repotted plants seem to be doing pretty well in their new container. I have to rotate the planter every two weeks because the taller succulents bend toward the light. I don’t want them bending so far that they break. 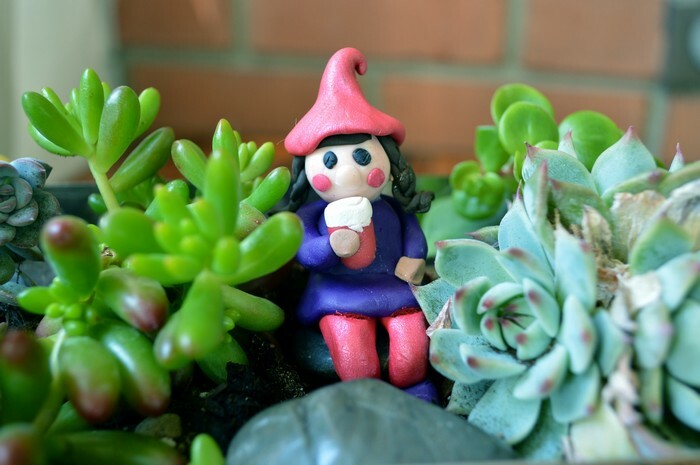 Have any of you tried making your own clay gnomes yet? I would LOVE to see them if you have. Either send me an email at jessica @ madincrafts.com or use the hashtag #madincrafts on social media and I will find it.